Cal Spas is one of the top manufacturers of hot tubs in the nation and its name has held strong in the industry for over 35 years. Introducing new innovation and technology keeps Cal Spas ahead of competitors and places the company at the forefront of product development. The latest industry advancement is the powerful and energy efficient Dually™ Pump System. With more than 10 years in development this revolutionary Dually™ Pump System is hands down the most cutting edge system available. The key to the new system is the size of the pump which is larger than most pumps found in spas today. At 48 lbs its 56 frame size is 62% heavier than conventional 48 frame pumps which are found in most spas. Larger magnets, windings and internal cooling fan help this Dually™ Pump produce and incredible amount of power while keeping itself cooler ensuring this pumps efficiency for years to come. 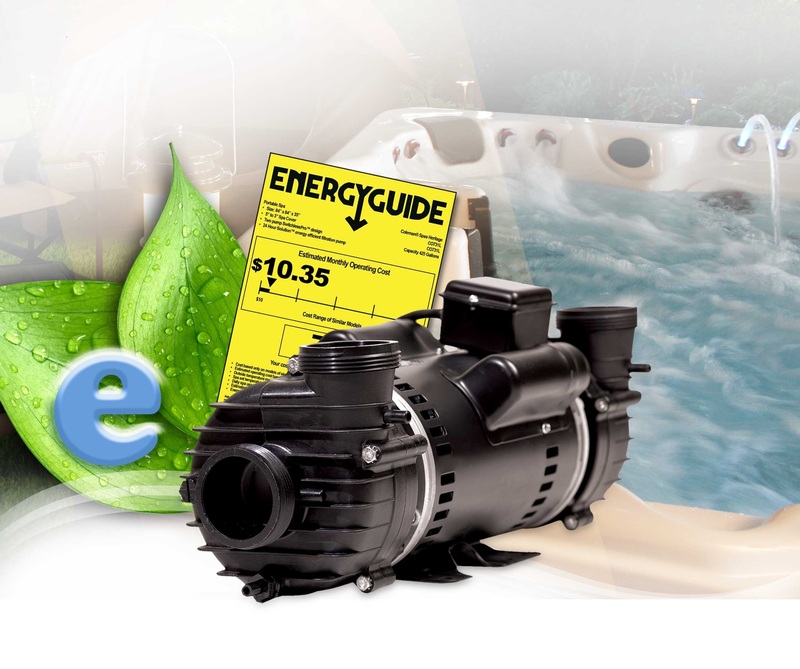 Unlike conventional spa pumps that typically produce 160 gallons per minute of water flow, the Dually™ Pump boasts an impressive 280 gallons per minute on high speed and 102 gallons per minute on low all while utilizing single pump electrical consumption and sound levels.